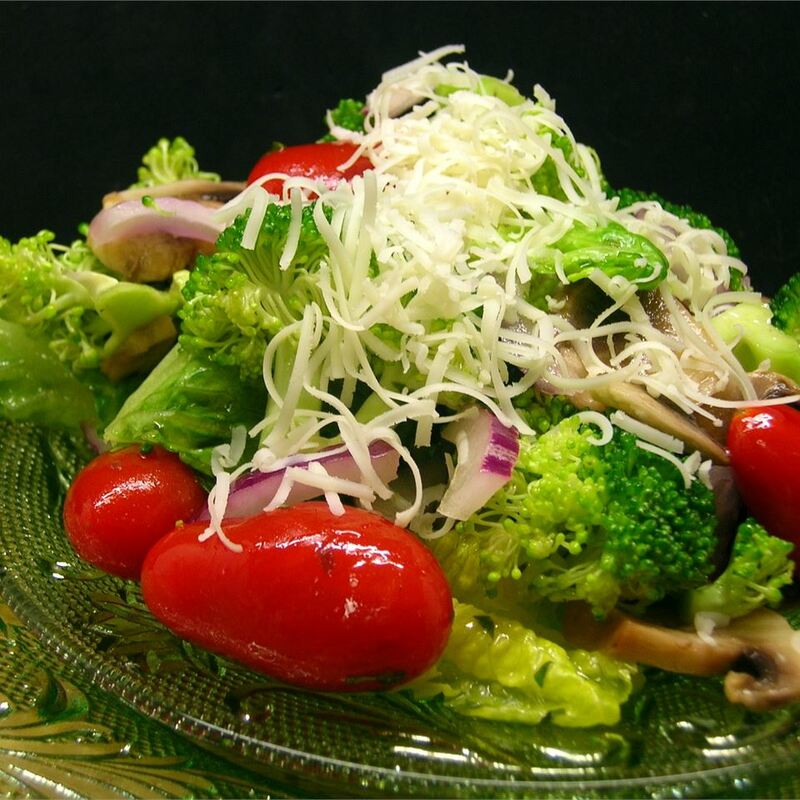 A quick salad that is made with raw broccoli, romaine lettuce, cherry tomatoes, and a few other ingredients that marinate in a simple olive oil and lime dressing. 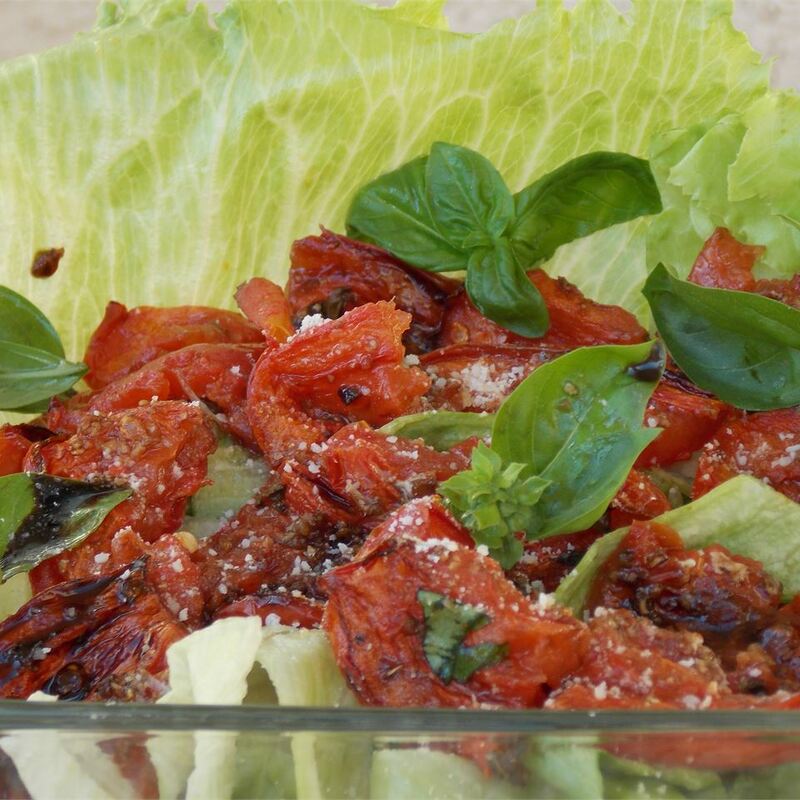 Perfect way to use up all those cherry tomatoes in the garden. 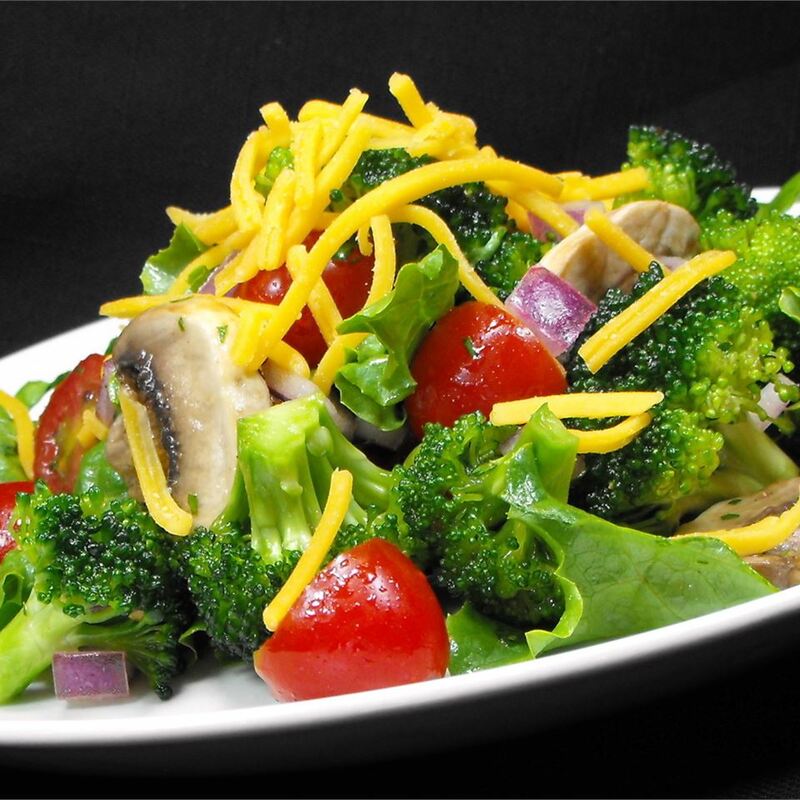 Mix broccoli, romaine lettuce, grape tomatoes, mushrooms, and red onion in a large bowl with a lid. 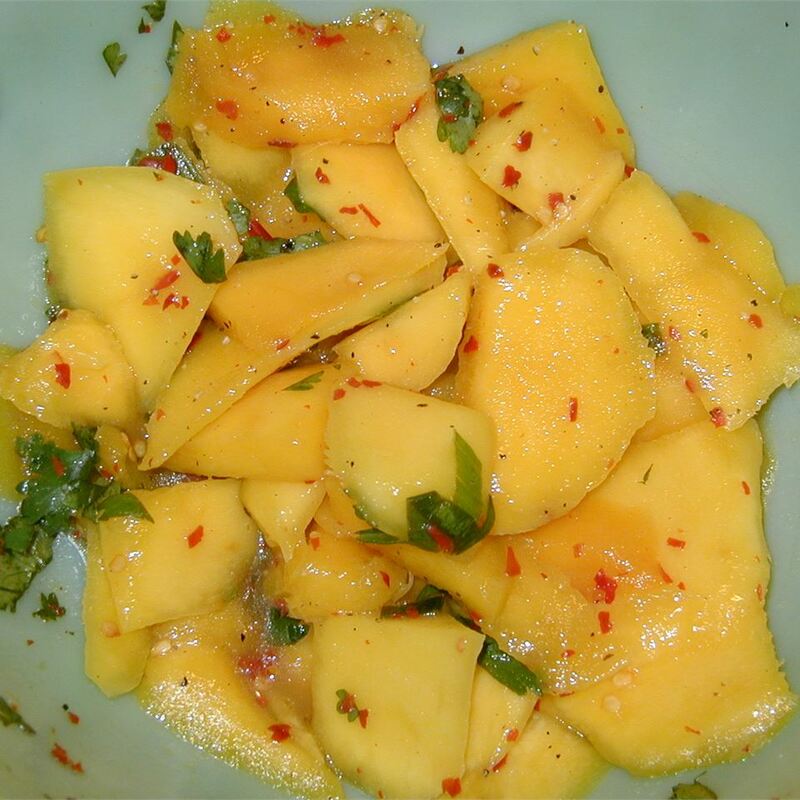 Place olive oil, lime juice, honey, cilantro, cumin, salt, and black pepper in a blender; blend until smooth. 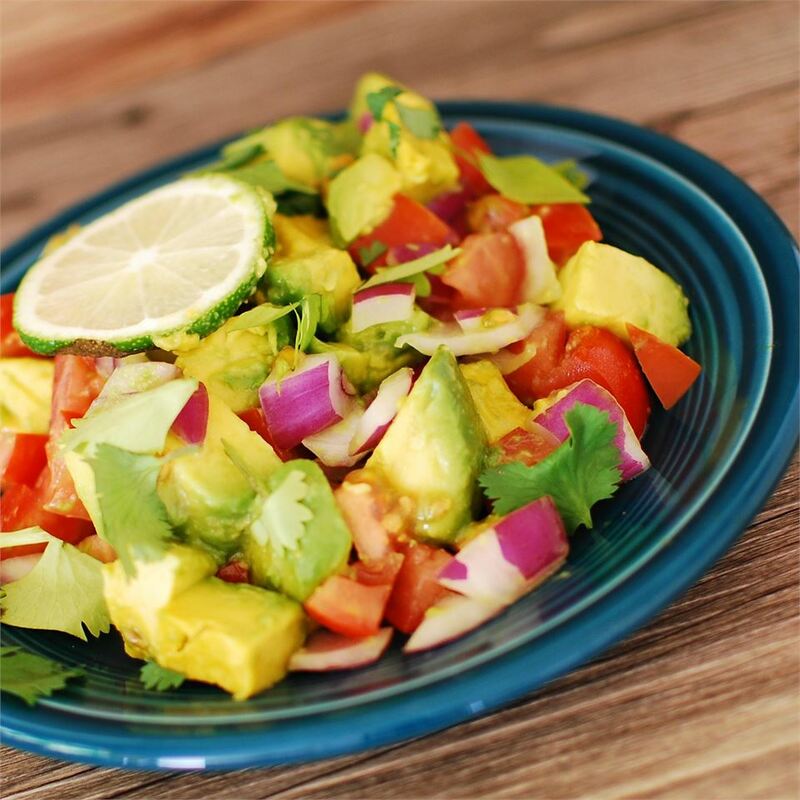 Pour lime dressing over vegetables; toss to combine. 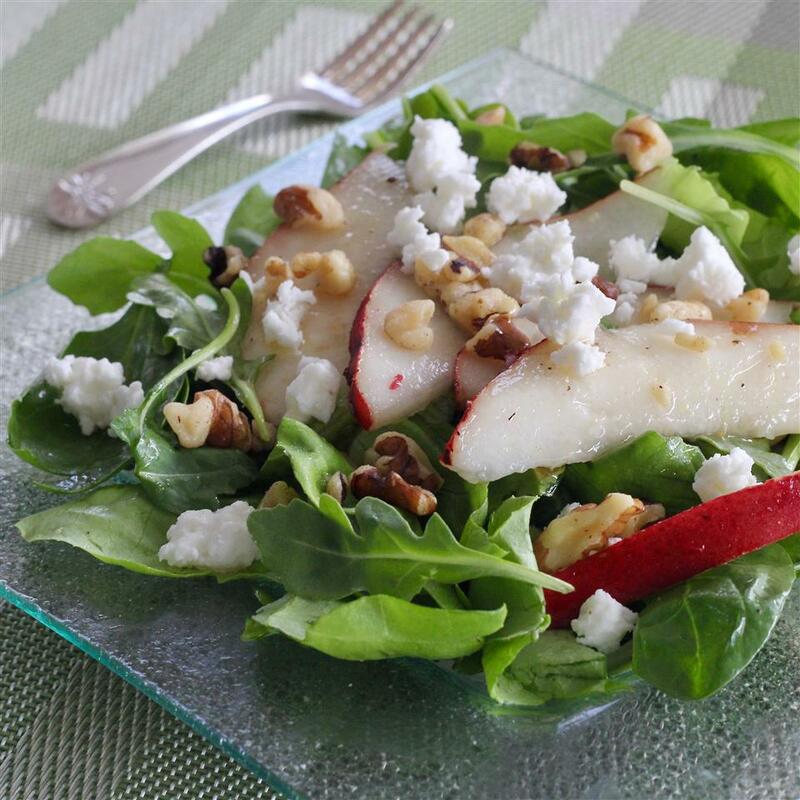 Cover and refrigerate salad for at least 2 hours before topping with white Cheddar cheese and serving. 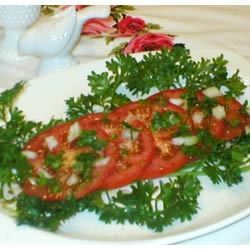 Dried coriander or parsley can be used in lieu of fresh cilantro, just reduce to 2 teaspoons. 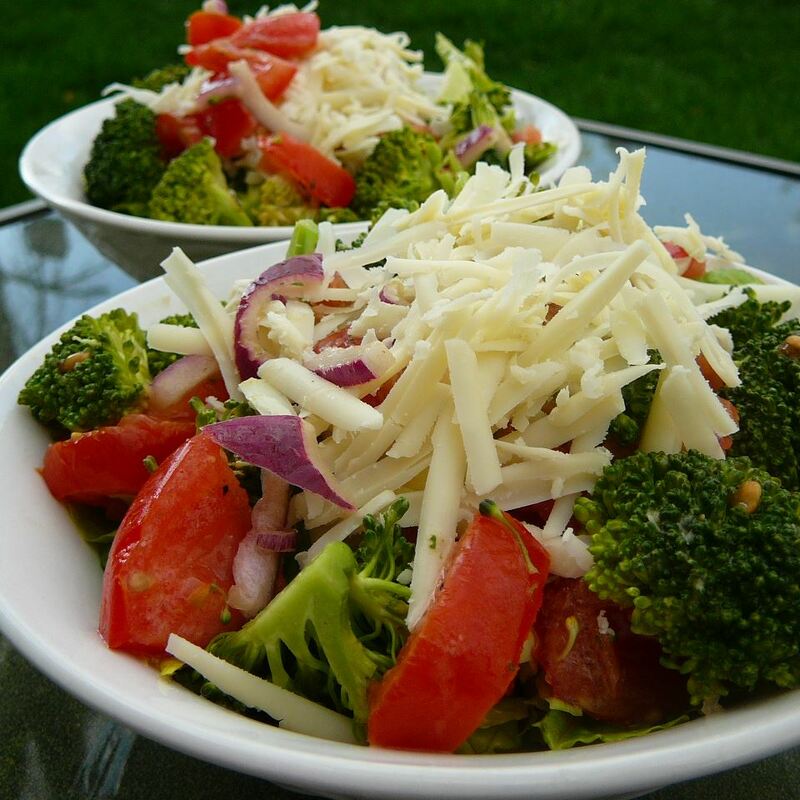 Any favorite cheese can be used for a topping. I added a touch of california chili powder to the dressing not much--just enough to give it the flavor of chili powder with a small hint of heat. 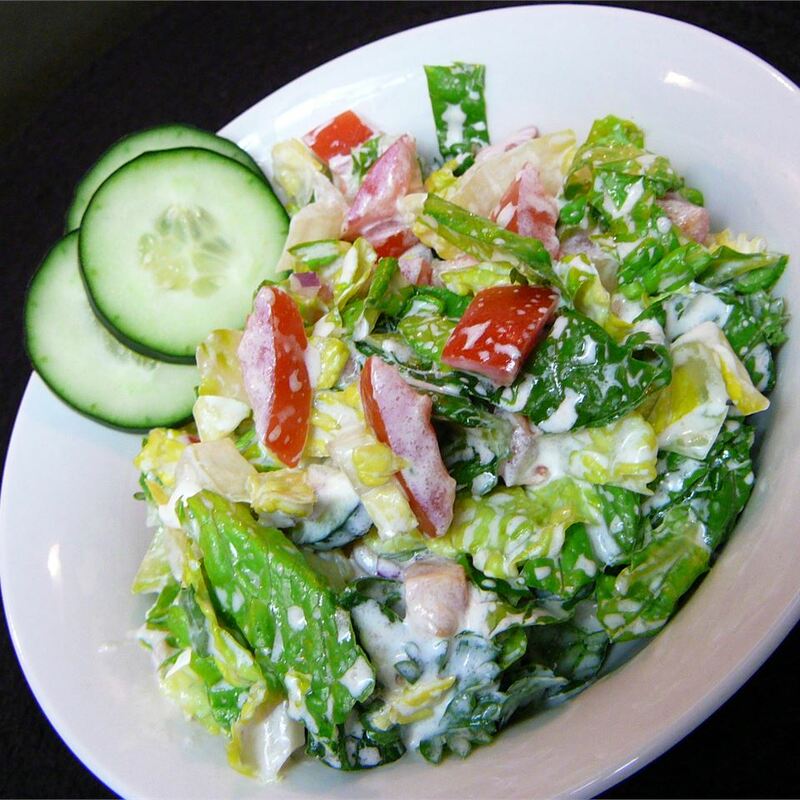 The combination of ingredients in this salad is outstanding. Just the dressing alone blew me away. I almost licked the bowl. So so so very good. We really disliked this dressing. 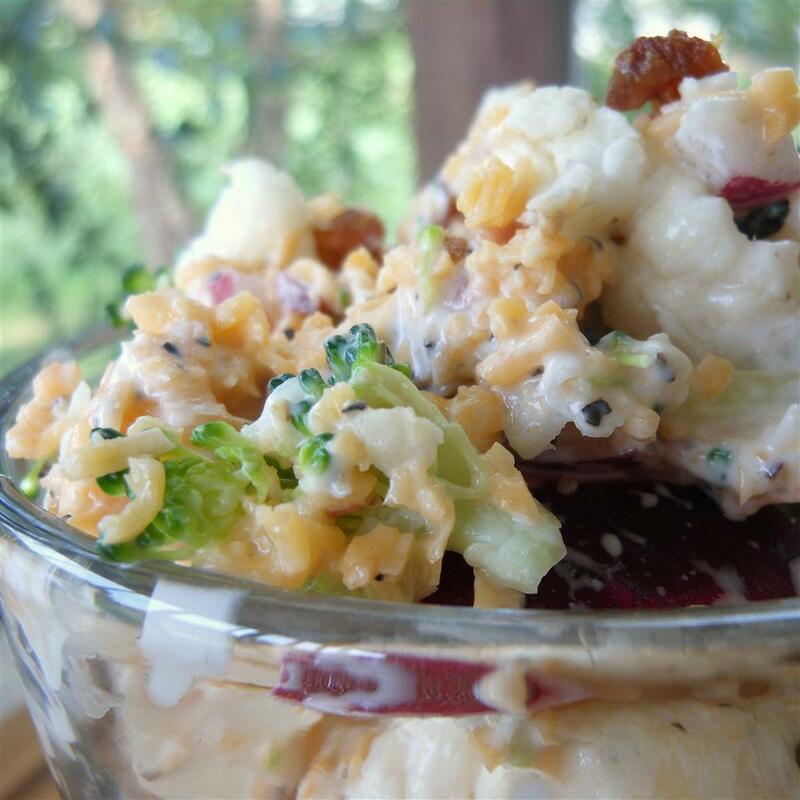 I m delighted to be one of the first to make and review Sherri s recently published recipe! First let me tell you we loved this!! 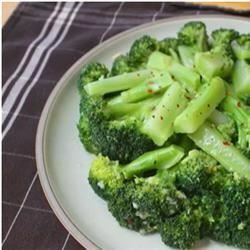 We like broccoli in this house so as soon as I saw this recipe I knew I had to try it. I did make a few adjustments based on personal preference and ingredients on hand. I increased the honey just a bit and reduced the cumin but not by much. I used white button mushrooms. 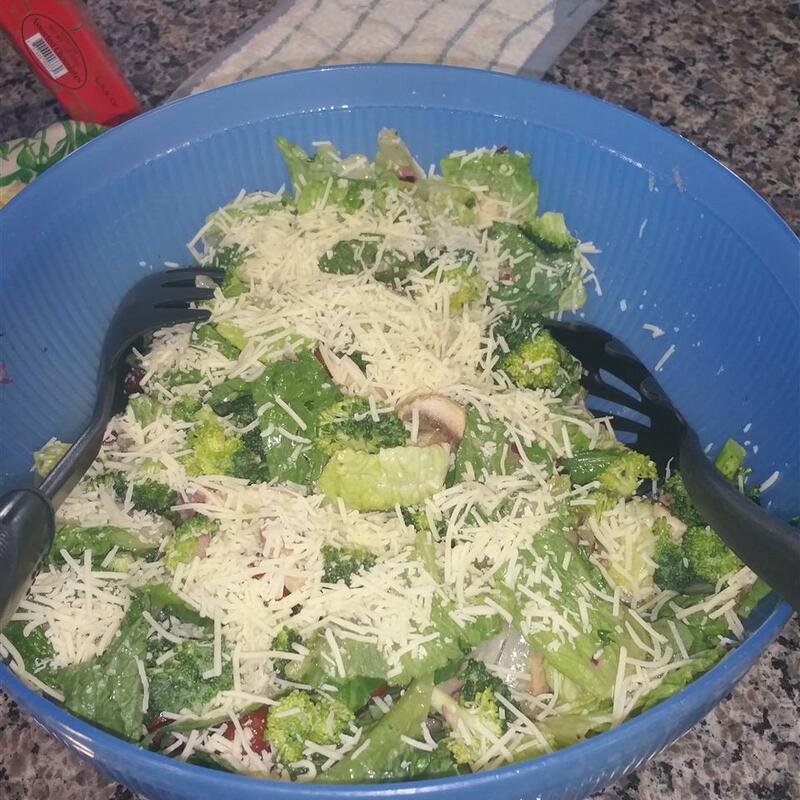 And because I had leaf lettuce on hand and it s not as sturdy as romaine I tossed it in just before serving. I also had to use regular sharp cheddar rather than white cheddar. 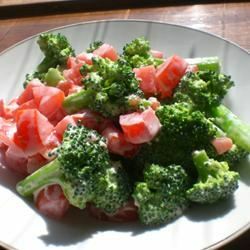 This was light and refreshing and definitely not your typical broccoli salad. And just in time for those summer cookouts! Thank you Sherry and my broccoli loving hubby thanks you too! 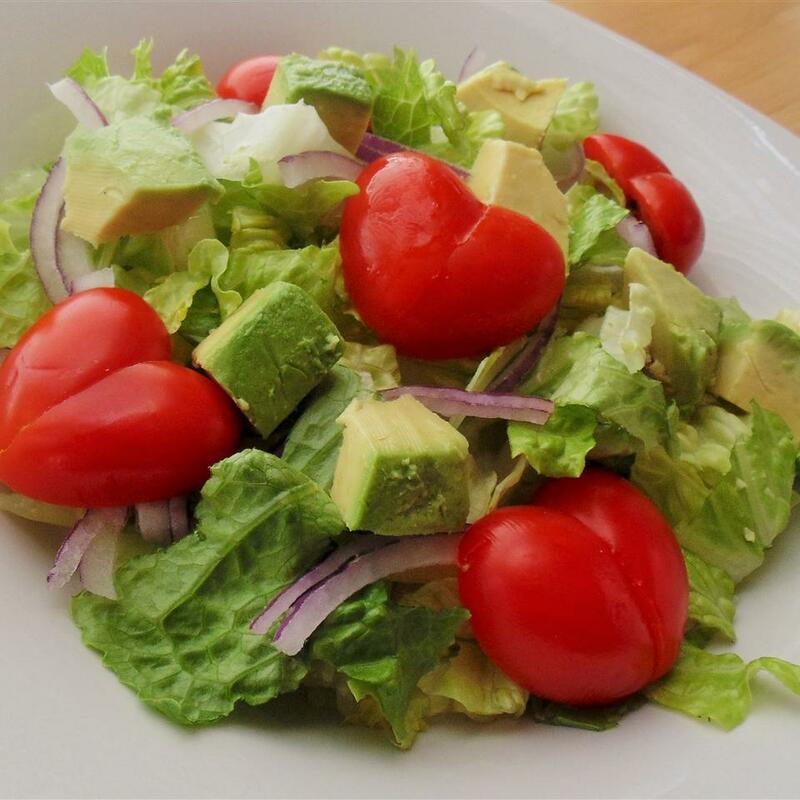 This is a light and refreshing salad. 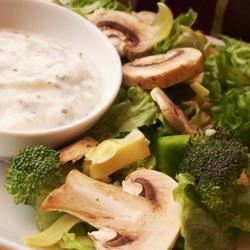 The dressing totally made it for my husband and I. I did the let ingredients marinade before serving omitting the mushrooms (not a fan) and using a sliced fresh tomatoes (what I had on hand) rather than the grape tomatoes. 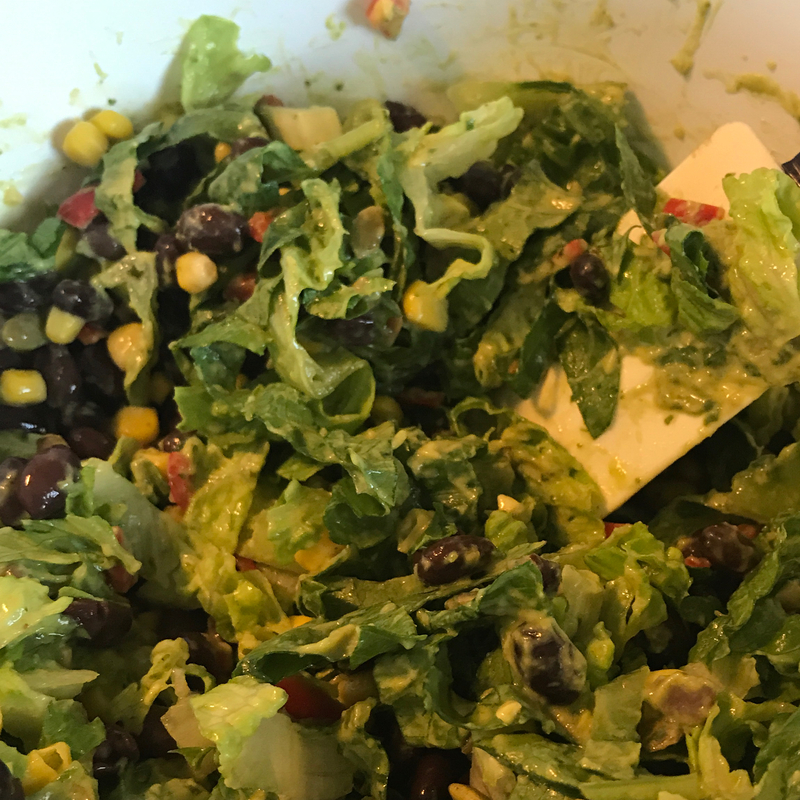 This dressing is so good that I had an extra lime so I made up a batch of dressing just to have on hand for future salads. Sherri - you have a winner thanks for sharing! 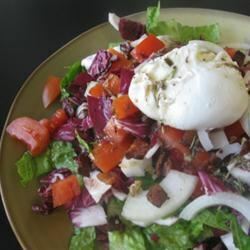 I usually avoid trying any recipe with less than 10 reviews but this one sounded so good. I used cherry tomatoes and omitted the mushrooms (yuck) and used about 1/2 cup fresh cilantro (we LOVE it). The smell of the dressing after I blended it made me nervous- I did not have high hopes b/c it just didn&apos;t smell good. I left the romaine out (didn&apos;t want it to get soggy- highly recommend leaving it out until ready to eat) and let the broccoli and other ing marinade for about an hour and a half. I filled each bowl about half full of romaine and then filled the rest of the bowl with the broccoli mixture and mixed it all up. I had every intention of adding some parmesan cheese but completely forgot and I am so glad I did b/c this was fantastic even without cheese! 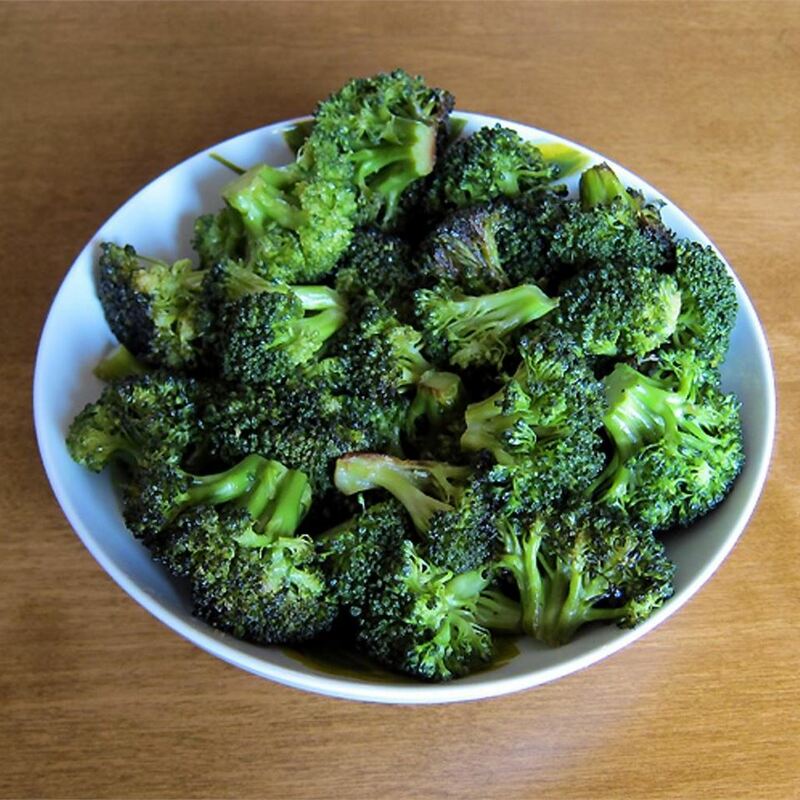 I am always counting calories and I could enjoy a large bowl of this with no worries at all AND it is really filling. The 2nd day was even better. I cannot express how great this was! One word of caution- go easy on the onion- Hubs thought it was a bit too strong... I didn&apos;t mind at all though... maybe personal preference. I will definitely be making this for our next &apos;company for dinner&apos;. 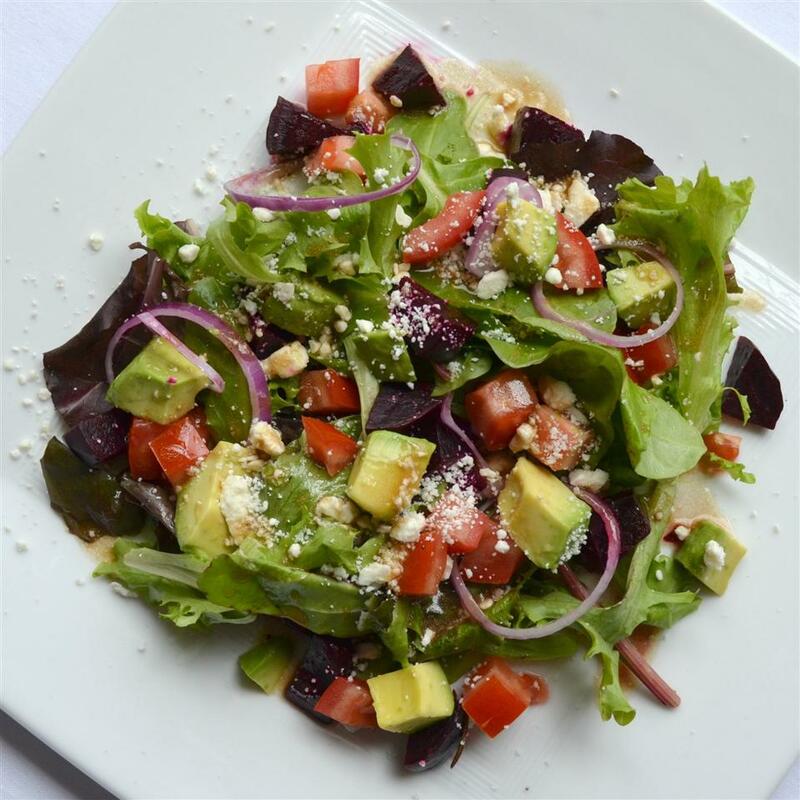 I just hope we can eat this outside- what a great warm weather salad. Wow really you have to try this. This was very good! Everyone is right the dressing makes this! Next time I would decrease the cumin a tad but that could be a personal taste. I used parsley in lieu of cilantro. 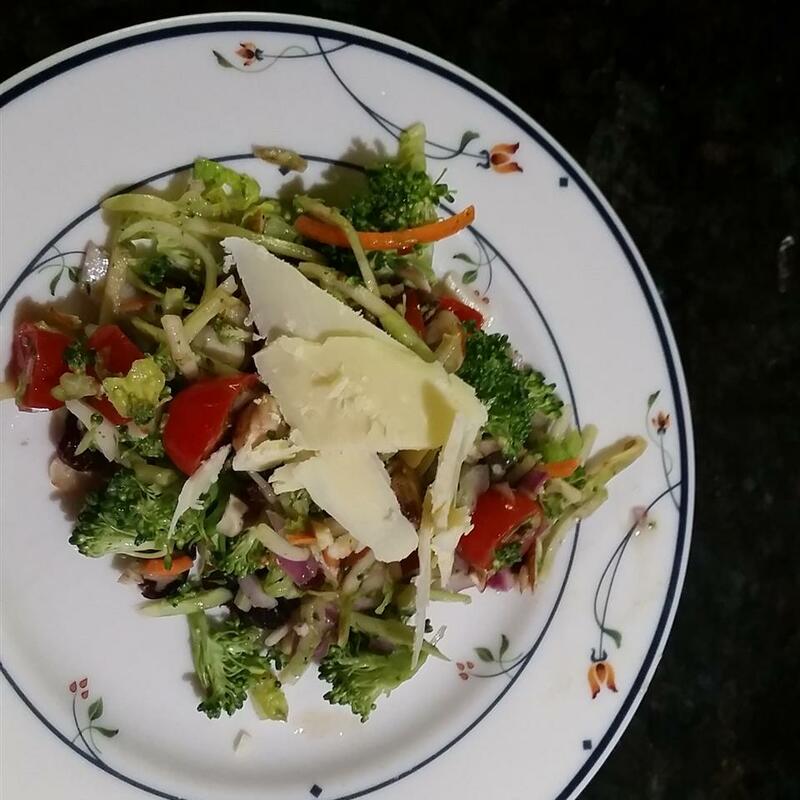 I made it the day before and the broccoli absorbed the dressing nicely but was still crisp. Thanks Sherri! I made this the other night to serve with grilled cajun chicken. 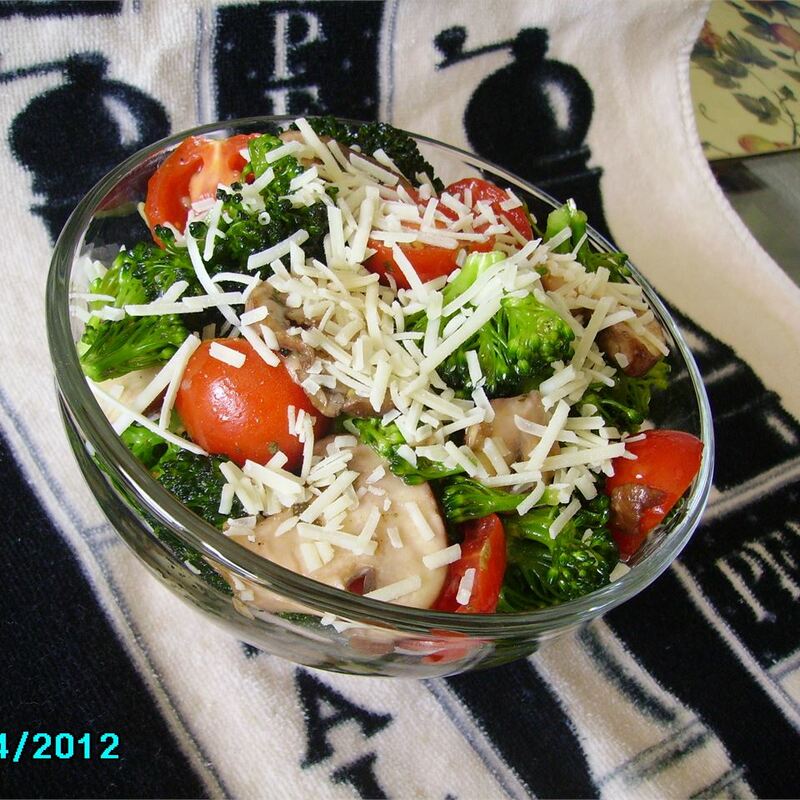 I didn&apos;t use the mushrooms just because I don&apos;t like raw mushrooms. 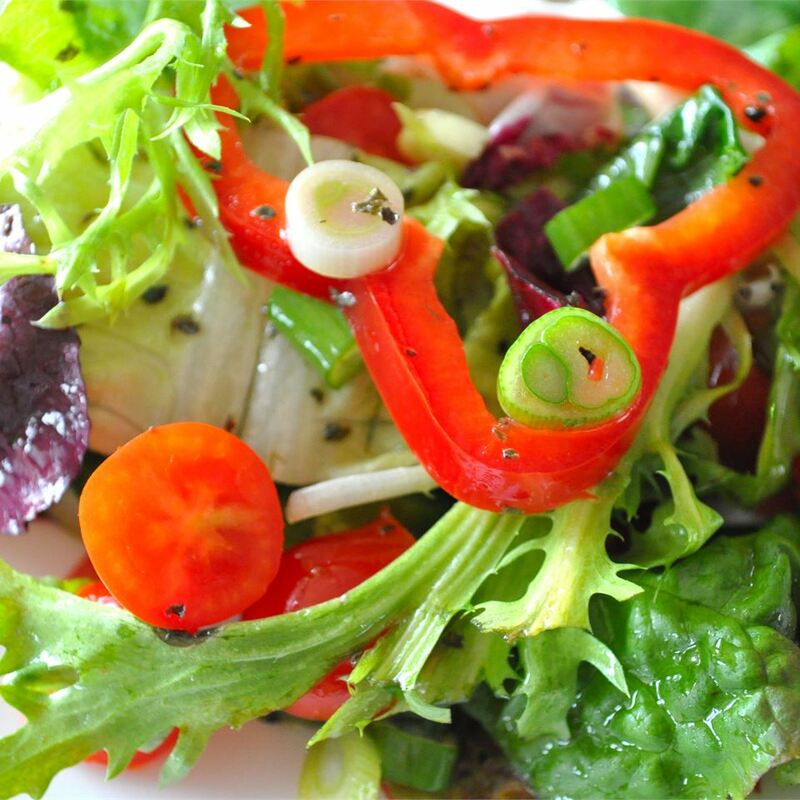 The salad was fantastic - thanks for the new summer recipe. 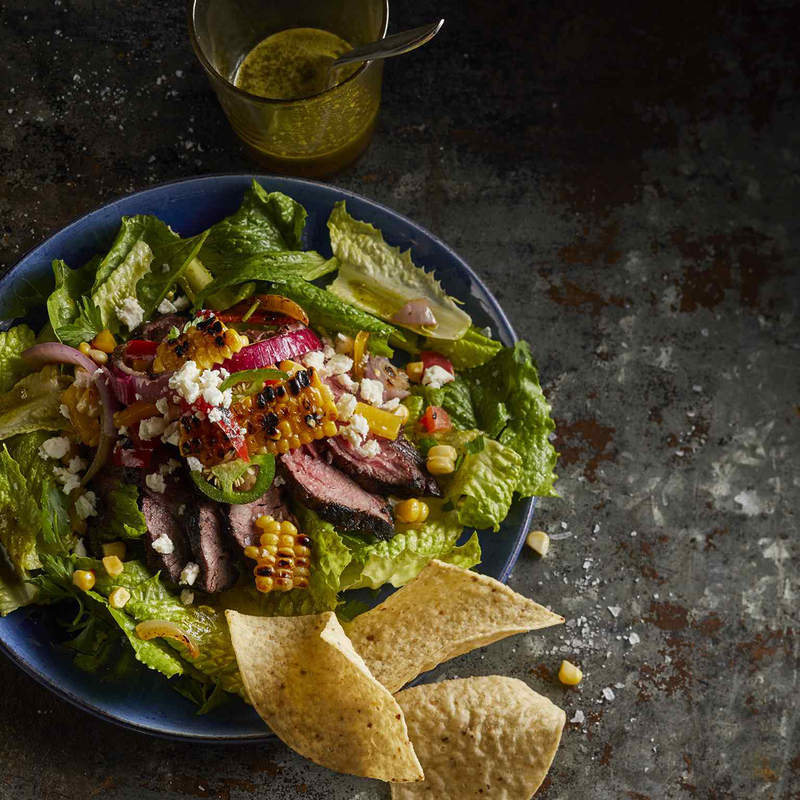 THis salad was really good and a big hit for cinco de mayo. I think I didn&apos;t add enough lime juice I only had two limes. 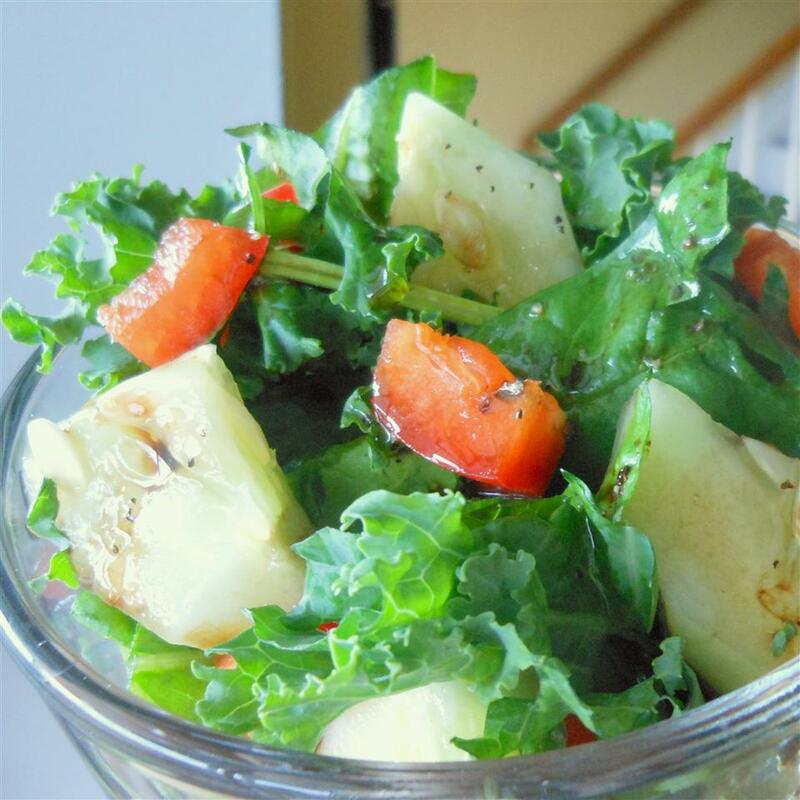 Next time I will use 3 or 3.5 but this salad is very tasty and light and refreshing. Perfect for summer! Thanks Sherri! I made this recipe and followed the recipe. It is delicious and I will definitely make it again.